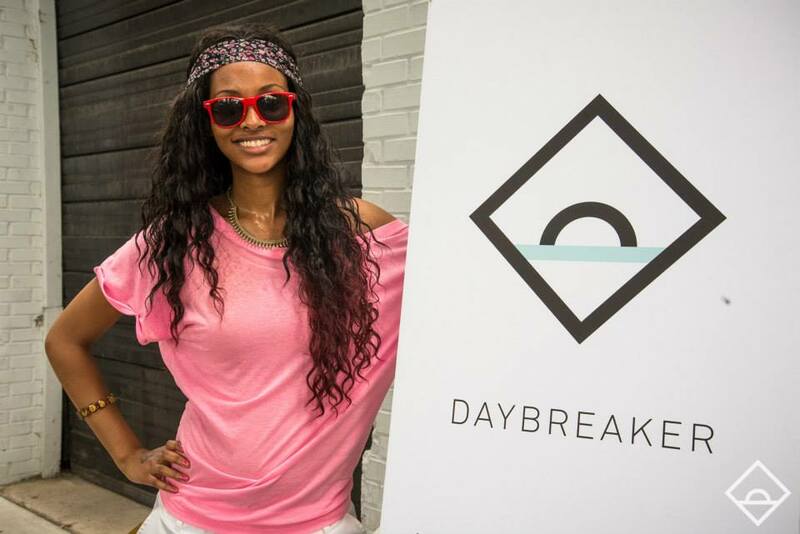 I first heard about Daybreaker in the media and through friends who live in New York City, where it began, but I was not sure about the hype. Disclaimer: I AM NOT A MORNING PERSON. This is like the understatement of the century. My mother has said that I am a different person, an unkind difficult person to put it nicely, in the morning. Probably has to do with my night owl ways (as I write this it is about 4am) but I digress. I say this to let you know that I find it hard to get excited about anything before around 10am. 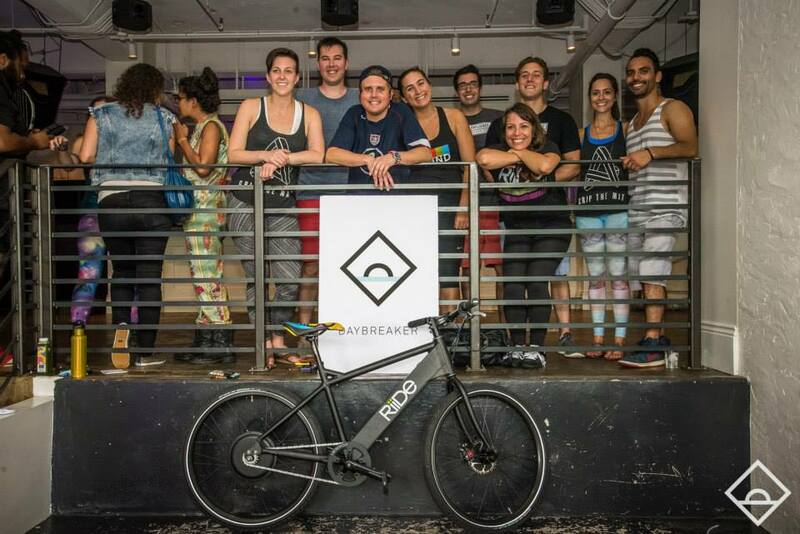 On Wednesday, July 8th, Daybreaker returned to DC. I missed their first adventure at Flash DC (one of my favorite spots) but when I heard that they were going to be at Malmaison in Georgetown I knew I had to check it out. Even though it started at 6am. AM. As in before the time the sun rises. But I set three alarms and dragged myself down to Georgetown just in time to join Grip The Mat for their yoga session. 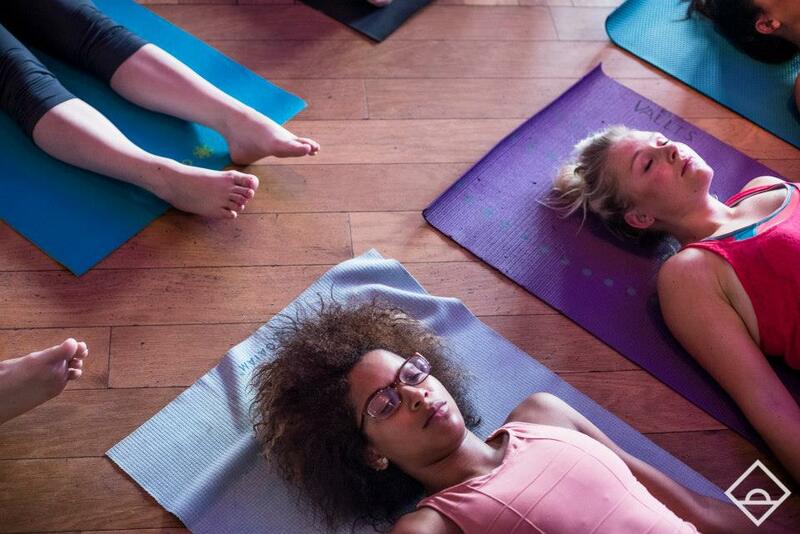 A group that combines yoga with social experiences like this Grip the Mat was love at first site. As we twisted and posed I woke up and became present in the experience (sounds cheesy but until then I was basically sleep walking). After the yoga session we all grabbed some liquids (with options like MISFIT JUICERY, Cold brew from Confluence Cold Brew, RUNA tea, & Capital Kombucha you can’t go wrong), a bullfrog bagel and a KIND bar to get ready for the 2 hour dance party that was about to ensue. 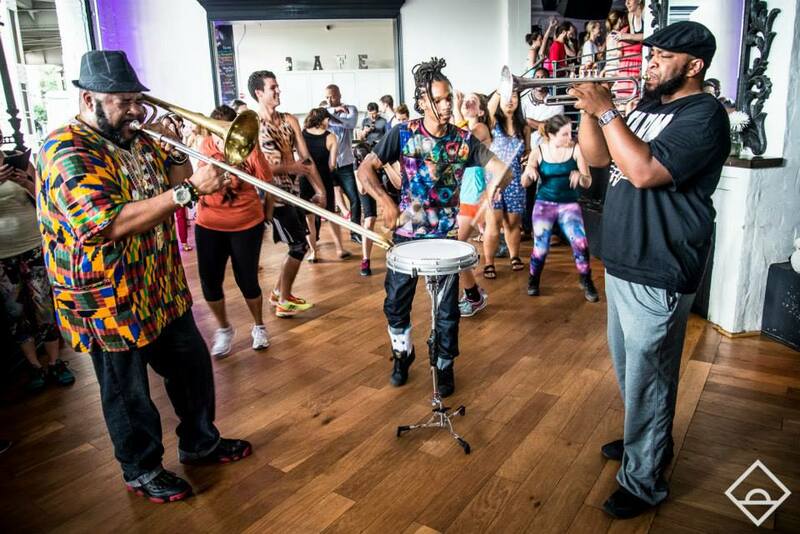 DC’s very own Citizen Select brought us the funky disco house vibes. 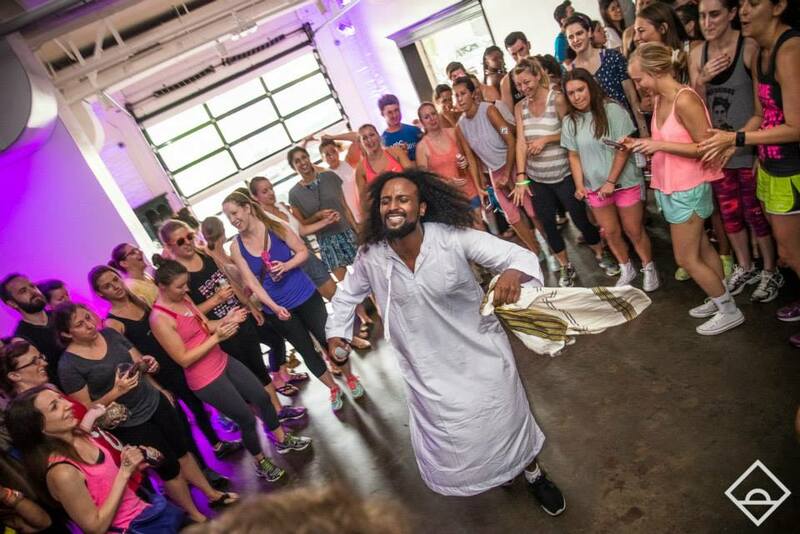 The MC, Haile Supreme, was on the dance floor leading us all through an “epic journey of grooves and amazing surprise performances” You also could cruise in style with free electric bikes provided by DC’s own Riide. Than the beat dropped and everyone began to dance. The energy and the environment are indescribable!! It was such a natural high and amazing way to start the day. Everyone was happy and sweat and just having a fantastic time. You have to go to understand it and once you do you will wish it was everyday. I had the best day afterwards and I can not wait to do it again!! 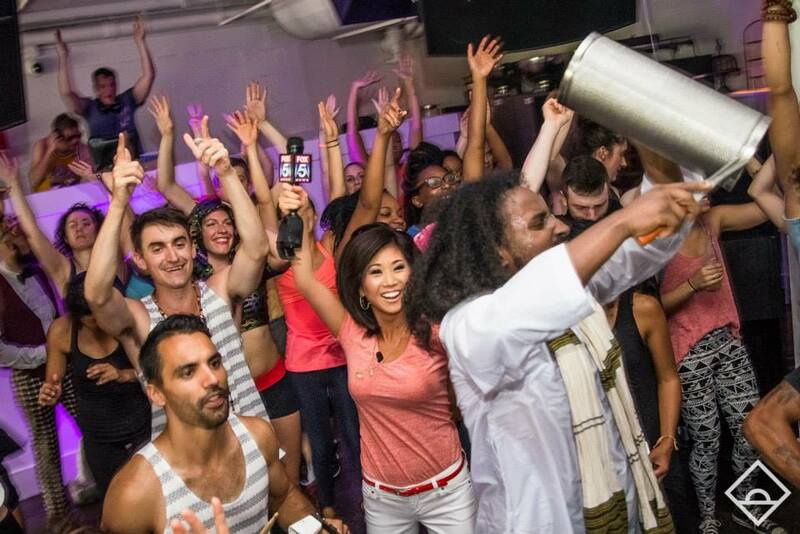 On Wednesday (MORNING), July 29th, it’s going down again at Dock 5, Union Market. I’m very excited for this one because Daybreaker resident DJ David Hohme flying in from his world tour to shower us in deep beats, accompanied by a series of surprise musical performances. So pack your mat to start the day getting limber with Grip the Mat at 6am and from 7-9am dance like nobody’s watching!!! (Unlike last time when Annie Yu from my Fox DC caught us all on film). 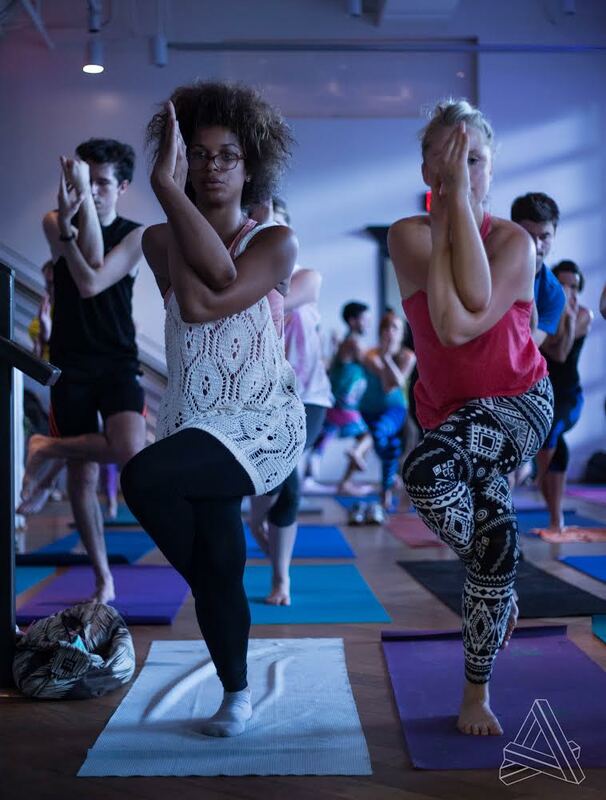 Namaste & Hope to see you there!! To see more photos and coverage check out the Daybreaker facebook or this great piece on PBS Newshour.